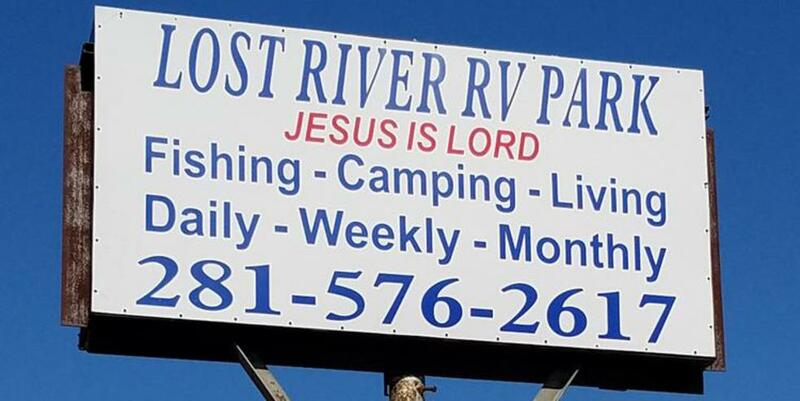 Lost River RV is located on the high bluff overlooking Old River. Elevation is 30' consequently it has never flooded. Our river front provides 1000' of shoreline for your enjoyment. 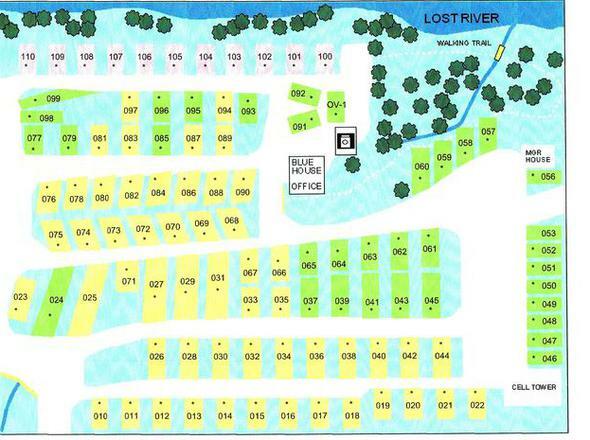 Lost river RV is primarily a long-term park that works well for temporary resident workers and family members. It offers a quiet, peaceful lifestyle and easy access to area industries, attractions, fishing and events. Immediate Access to I-10 east or west is just 400 yards to the south and downtown Houston is a 30 minute drive to the west. The top map is of the original park with improvements and additions. The bottom map is of the new expansion we opened December 2016. Full-hookups with 30 or 50 amp service are available. Concrete pad sites are colored yellow or pink on map. Crushed rock sites are colored green. Laundry facilities are air conditioned with 10 washers and 10 dryers. There are walking trails between the two parks and through the ravine separating them. 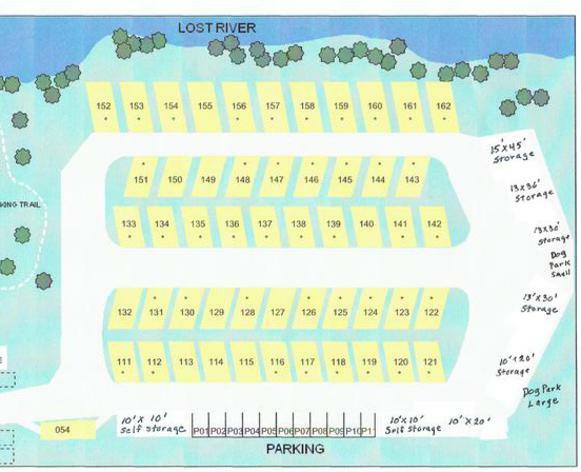 There are two dog parks behind the mini storage (bottom map). Small to large Storage buildings are available to rent on site at discounted prices to our residents.